Disney takes it easy on the hype this time, allowing its latest summer animated picture to build its own fan base. It's a canny decision, and the story, based on a Chinese legend, is clever: a young girl cuts her hair, joins the army disguised as a man, and saves China from the Huns. It gives boys lots of exciting (if cross-dressed) action, and lets girls root for an empowering hero. 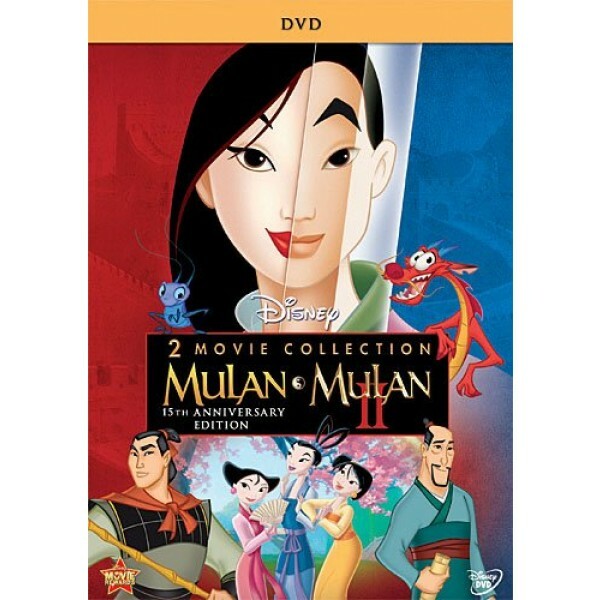 This special edition contains both Mulan and the sequel Mulan II. Solid entertainment from a new group of Disney animators. The story source is a Chinese fable about a young girl who disguises herself as a man to help her family and her country. When the Huns attack China, a call to arms goes out to every village, and Mulan's father, being the only man in the family, accepts the call. 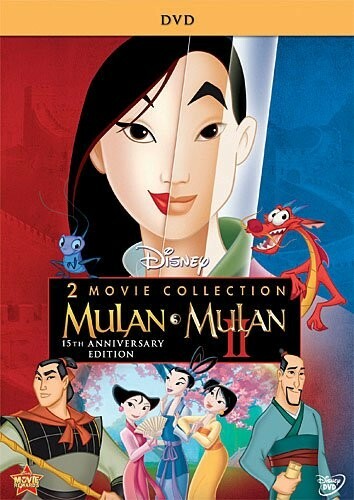 Mulan (voiced by Ming-Na Wen, sung by Lea Salonga) has just made a disastrous appearance at the Matchmaker and decides to challenge society's expectations (being a bride). She steals her father's conscription notice, cuts her hair, and impersonates a man to join the army. She goes to boot camp, learning to fit in with the other soldiers with some help from her sidekick, Mushu, a wise-cracking dragon (voiced by Eddie Murphy). She trains, and soon faces the Huns eye-to-eye to protect her Emperor. The film is gorgeous to look at, with a superior blend of classic and computer-generated animation. Directors Tony Bancroft and Barry Cook make the best of it: a battle in the snowy mountains is as thrilling as the best Hollywood action films. The menacing Huns are not cute but simple and bad. The wickedness is subtle, not disturbing. The film is not a full-fledged musical, as it has only five songs (the best, "Be a Man," is sung during boot camp).